University. (2014) She has performed with the Martha Graham Dance Company, Dallas Black Dance Theater, San Francisco Opera Ballet, and Labayen Dance /SF. She formed her own pick-upcompany, Saltmarsh Dance, in 1999 San Francisco, CA. Ms Saltmarsh has taught, mentored, and choreographed for Jacksonville University (2013-2015), Douglas Anderson SOTA, LaVilla, San Francisco SOTA, Alonzo King SF Dance Center, Marin Ballet and throughout the US and Europe. Ms. Saltmarsh is the director this conservatory dance program in Jacksonville, Florida. Saltmarsh Dance of Jacksonville’s mission is to educate, inspire, and collaborate with dancers through a profound respect for all the Arts. Landes Dixon is from Jacksonville, Florida and pre-professionally studied at LASOTA, DASOTA, and JCA. Dixon graduated from Southern Methodist University with a B.F.A in Dance Performance and is certified in Laban Notation. Landes attended The Martha Graham Summer and Winter Intensives, Bates Dance Festival, and Atlanta Ballet Summer Intensive. Post university, Landes has performed and collaborated with various repertory companies such as The Bruce Wood Dance Project, Steps Repertory Ensemble, Heidi Latsky Dance, Trainor Dance, Saltmarsh Dance, and BalletNext. Beyond concert repertory, Landes has performed for multiple Mary Kay Cosmetic International Conventions and commercials for Palmers Lotion. Dixon is currently Guest Artist with Oakland Ballet Company. 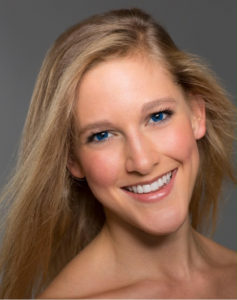 Adair Humphreys began dancing with Suzanne Saltmarsh in 2012. Since then, she has danced in Tampa at the Youth American Grand Prix and in San Francisco with Alonzo King LINES Ballet. 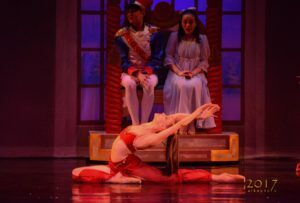 She has performed locally with the Community Nutcracker Ballet for 9 years. Adair is continuing her dance education at Jacksonville University where she majors in Dance. Didier Razon Didier has been interested in yoga and the mystical side of life since his teenage years. On his own, he started practicing yoga asanas in Casablanca, Morocco, where he grew up. (This was during the decade of the seventies where very few were familiar with this practice, let alone in Morocco!) He received guidance in this endeavor by way of a couple of books in French by renowned yoga teacher – Andre Van Lysbeth – who followed the Sivananda method. In the early eighties Didier traveled to India and Asia. In 1985, he had the great good fortune to meet his spiritual teacher in India. Subsequently, due to this auspicious event, he spent the next ten years living in Her ashrams (monasteries) in India, France, and the United States. While living in the ashram, Didier had the opportunity to study hatha yoga with several teachers, notably John Friend – the founder of Anusara Yoga. Didier was, at one time, an Anusara affiliated teacher. He is presently certified through the Sivananda and Sri Mahesh Schools of Yoga. In 2000, Didier created his own yoga school that he named “Two Suns Rising Yoga”. Peter Chursin is originally from San Francisco, CA and is currently performing with Twyla Tharp Dance. 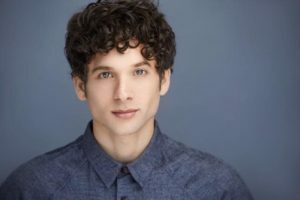 He was a recurring company dancer in the STARZ miniseries Flesh & Bone appearing in all eight episodes. His theater credits include: the revival of On the Town (Broadway), The Music Man- "Tommy Djilas" (TUTS), West Side Story (Broadway, Original Cast), Nikolai and the Others (Lincoln Center) and Wicked- "Chistery" (1st National Tour and Los Angeles Company). He has worked on the workshop creations of An American in Paris with Christopher Wheeldon and Hello, Dolly! and Something to Dance About with Warren Carlyle. He performed with Complexions Contemporary Ballet, Barak Ballet and has had the opportunity to work as a freelance dancer internationally. He has appeared in numerous television shows and films including America's Got Talent, State of the Union with Tracey Ullman, Joan of Arcadia and Winter's Tale starring Collin Farrell. DeWitt Cooper III holds an MFA in modern dance from Case Western Reserve University. DeWitt also studied musical theatre extensively at Florida State University where he was the first African American Male to be admitted to the program. During his time at Case Western Reserve University, he was nominated for the Wittke Undergraduate teaching award. In 2006, he was awarded the Okie Award by the La Villa School of the Arts for most inspiring Choreography. In 2007, his choreography was recognized at the Nuvo Dance Competition and in 2008 his choreography was awarded Platinum Awards at the Applause Talent Competition. Mr. Cooper has also set choreography for the production of Julius X for playwright, Al Letson at Players by the Sea. He has also set choreography for Dreamgirls and the FAMU Connection Tour at the Essential Theatre. 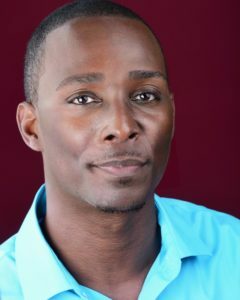 DeWitt Cooper has also worked with Garth Fagan at the Summer Movement Institute where he trained intensively as a teacher and student under Garth Fagan and Natalie Cropper and set choreography for the Garth Fagan Summer Movement Institute final showcase. His professional dance experience includes Phlava Dance Company, Great Lakes Festival Ballet, and Verlezza Dance. Mr. Cooper also continues his professional career in musical theatre. He has played the role of “Simon” in the Alhambra’s production of Jesus Christ Superstar. Other professional credits include West Side Story, Anything Goes, She Loves Me, Ain’t Mis’ Behavin,' Once on this Island, and Black Nativity. He has sung for the Ann Reinking Doctoral Ceremony. His choreography continues to be recognized around the country. Mr. Cooper was a faculty member of The Bolles School where he taught theatre. He is also a former faculty member at La Villa and Douglas Anderson Schools of the Arts. Mr. Cooper was a full-time employee of Walt Disney World's Animal Kingdom where he was a cast member of Finding Nemo the Musical. He enjoys teaching and choreographing at the Jacksonville Centre of the Arts, where he served as Artistic Director. Madysen Felber was born in Jacksonville, Florida where she started dancing at the age of 3. Her early ballet mentors include Polly Boeneke, Dulce Anaya and Suzanne Saltmarsh. In 2010, she participated in the Youth America Grand Prix under the direction of Suzanne Saltmarsh where she was selected to attend Canada’s National Ballet School. Since graduating from Canada's National Ballet School in 2013 she was in the NBS Post Secondary Program to continue her professional training under the direction of Shaun Amyot, Vera Timashova and Raymond Smith. She was asked to join the National Ballet of Canada for the 2014/15 season as a part-time apprentice under the direction of Lindsay Fischer and Mandy-Jayne Richardson working on Alice's Adventures in Wonderland. She got a job with the Sarasota Ballet in 2015. This upcoming season will be her fourth one there, getting to dance great roles and continuing to pursue her dream and enjoying her life. She will be joining the Sarasota Ballet on their tour to the Joyce theatre in New York this summer. Some of her repertoire includes Jewels, Theme and Variations, Bugaku and Stars and Stripes by George Balanchine, The Leaves are Fading by Antony Tudor, Dear Life created by Marcelo Gomes, Troy Game by Robert North (first female cast in history), Wolfgang for Webb by Dominic Walsh, The Dream, Scènes de ballet and Sinfonietta by Sir Frederick Ashton, The Secret Garden by Will Tuckett, Checkmate and The Rake’s Progress by Dame Ninette de Valois’, Bluebird from Sleeping Beauty, Monya from Giselle, Prelude variation from Les Sylphide, Prayer variation from Coppélia, Cygnets from Swan Lake, Arabian from The Nutcracker and Act 2 Aurora variation and the Wedding pas de deux from Sleeping Beauty, along with new works created by Suzanne Saltmarsh, Robert Binet, Demis Volpi and Aszure Barton. Ruth Howard grew up dancing and enjoying the sun in Jacksonville, Florida, USA. At fifteen she was invited to train full time with The Joffrey Ballet School in New York City. She studied on full scholarship for three years and was a pioneer member of Joffrey’s Touring Company in 2011. Upon being accepted into The Juilliard School she had the distinct pleasure of performing the works of José Limón, William Forsythe, Twyla Tharp, Merce Cunningham, Larry Keigwin, Emery LeCrone and Jiri Porkorny as well as choreographing her own work which received Choreographic Honors. She made her professional debut at the Joyce Theatre in October 2014 in Lar Lubovitch’s Artemis in Athens while still attending Juilliard. Upon graduating with her BFA in Dance, Ruth joined the Lar Lubovtich Company and performed in multiple works. Ruth then moved to London to study with choreographer and teacher Kerry Nichols. Upon returning to NYC Ruth has worked with Shannon Gillen of Vim Vigor and is a Company Member of Cornfield Dance and Janis Brenner & Dancers. Ruth also continues to work freelance with independent choreographers in NYC and is continually interested in developing her choreographic voice.